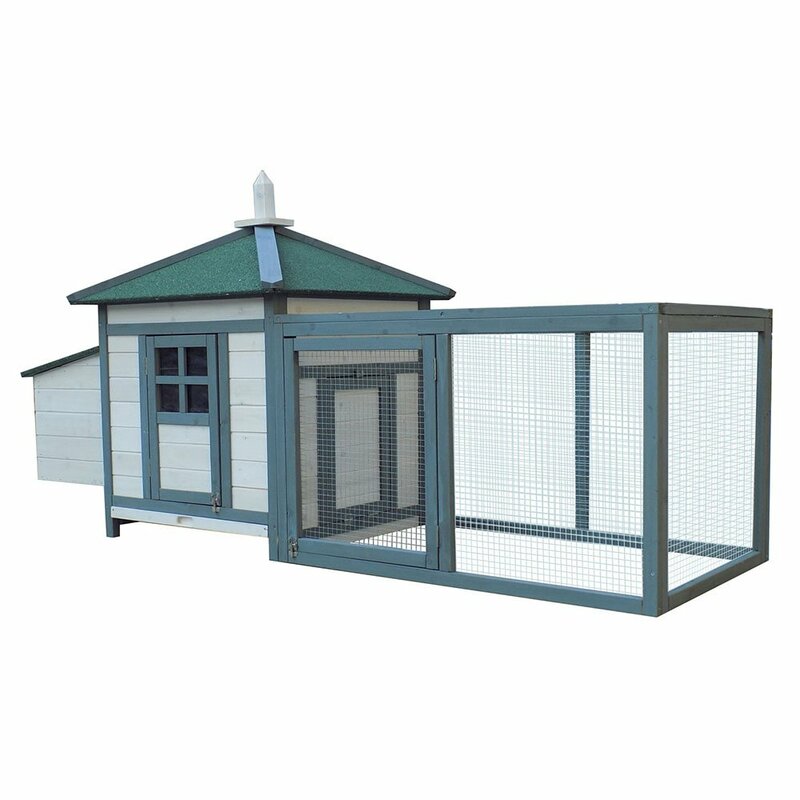 Rabbits, chickens, duck and other poultry love the safe and secure enclosure that is well built to suit their needs and yours. Start with the water-proof roof which is made of green asphalt composite material and work your way down to the bottom pan which slides out easily to remove for cleaning. Security features include lockable sliding metal bolt doors and a premium galvanized wire run to protect animals from predators. 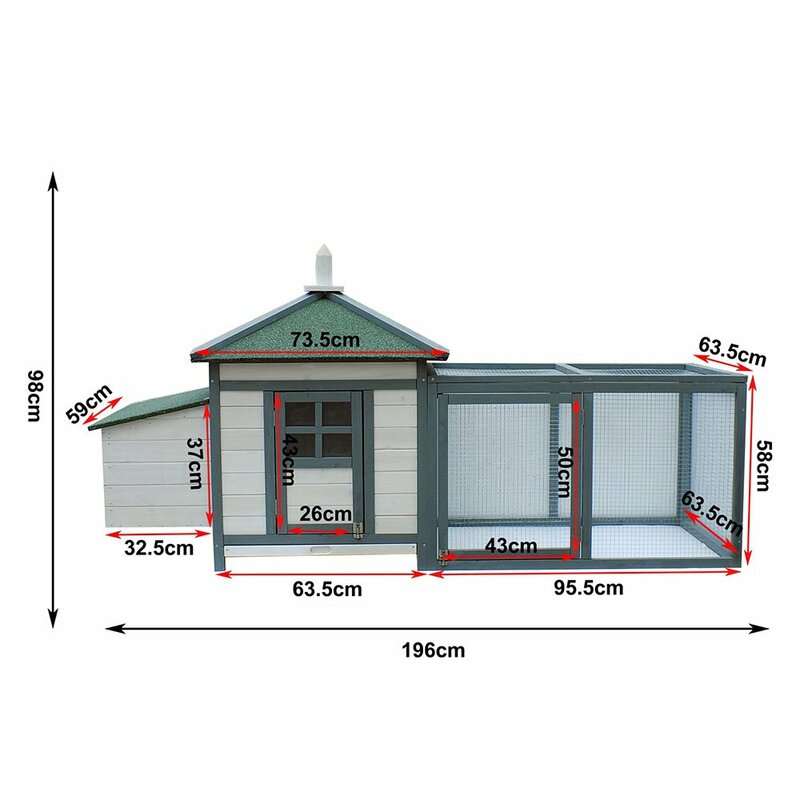 Hinged, sliding doors and ramp provide ample access. 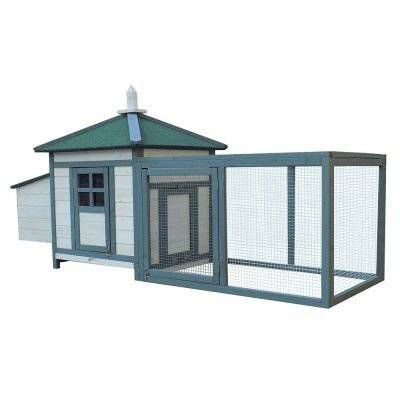 Get the ultimate housing, built secure and safe, for your animals.